Eden Mobility Mansfield opened in November 2009 and is situated in the market place next to Bradford and Bingly Building Society, Derbyshire Building Society, Greggs and Halifax. We have an in-store stairlift demonstration, large selection of scooters and wheelchairs plus much much more for you to try before you buy. Come down to your Mansfield mobility store and enjoy a fresh cup of tea or coffee along with some free, helpful and friendly advice. 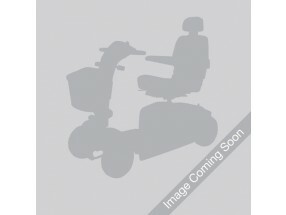 We have 6 used mobility scooters that are available to view at our Mansfield store. If you live in Mansfield and you are looking at buying a mobility scooter for yourself or someone you know, come and see the range of scooters that are available at Eden Mobility. We have mobility scooters available to suit everyone as well as a Motability scheme in place to make them more affordable. A powerchair is essentially an electronic wheelchair. They're ideal for disabled persons or those who struggle to walk and are extremely maneuverable both indoors and outdoors. Come and see our range for yourself in the Mansfield store. If you are interested in purchasing a rise & recline chair, come and visit our Mansfield store. Our friendly and knowledgeable staff will be able to answer any questions you may have. You can regain your freedom again with a stairlift from Eden Mobility. Whether you have a straight or curved staircase, we can supply and install a stairlift into your home. For a live demonstration, come and visit our store in Mansfield. Our friendly staff will be able to provide you with all the information you need. Are you looking for a wheelchair in Mansfield? If so, come along to Eden Mobility at 23A Market Place - we have a range of lightweight and heavyweight wheelchairs available.